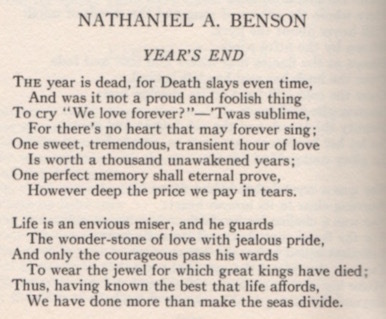 Verse for the day from the 1935 revised edition of Our Canadian Literature, an anthology of verse selected by the poet's friends Bliss Carman and Lorne Pierce. An annus horribulus, the death of David Bowie ten days in cast a pall that just wouldn't lift. These have been days of loss and unwelcome surprises, and November 8 killed all hopes for a better New Year. The evening before the American election, the great Leonard Cohen died. 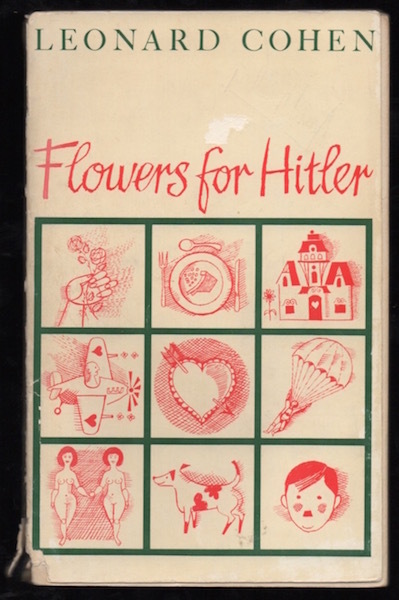 I'd found his Flowers for Hitler a week earlier, squeezed between neglected books in a sidewalk dollar cart. Storm clouds were just about to burst. 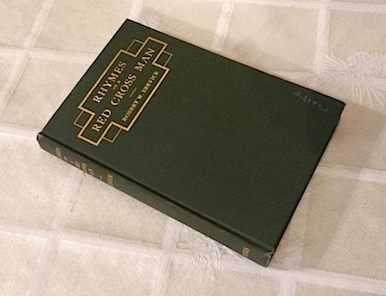 It's a first edition, but the condition is not the best; booksellers would describe it as a "reading copy." I'm all for reading copies. Books are meant to be read, as this one clearly has. My favourite purchase of 2016, this is how I choose to remember the year... rescuing a book from the rain. This was the year my collection of Canadian literature took over the ninth of our nine bookcases. You always knew there was more than one dusty bookcase, right? Foreign authors have been relegated to the attic, though some sit in the basement of the St Marys Public Library awaiting the semi-annual Book Sale. Anyone looking for a century-old set of Conrad will find themselves in luck this spring. Yes, this proved a particularly good year for buying books, despite an increasingly tightening budget. 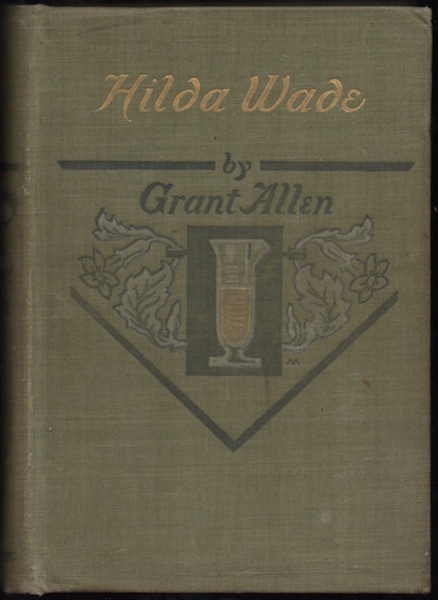 Case in point: the first American edition of Hilda Wade: A Woman of Tenacity of Purpose pictured above. Typically priced comfortably in the three digits, I paid US$6.00 after winning it in an online auction. With ninety-eight illustrations by Gordon Browne, I don't exaggerate in describing it as one of the most beautiful in my collection. What follows are the eight other favourite acquisitions. You'll note that some weren't book buys but gifts. Given my name, you'll understand that I'm drawn to alliteration. 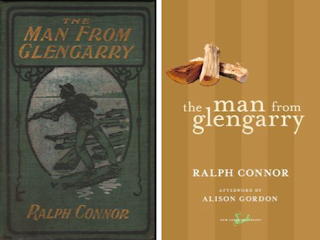 "Allen's last substantial novel," writes biographer Peter Morton. 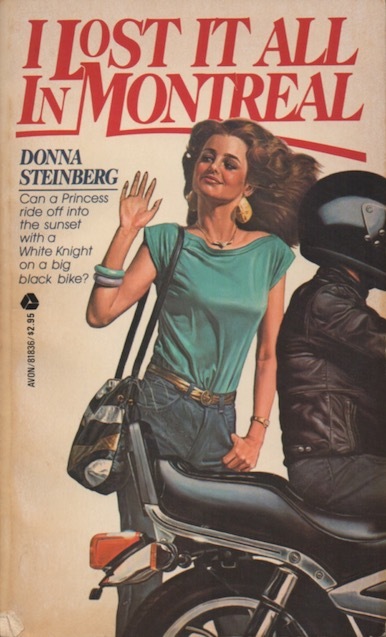 I first learned of this work while researching my first book, Character Parts, and have been hoping to score a copy ever since. Another online auction victory, I won this first American edition for US$16.00. 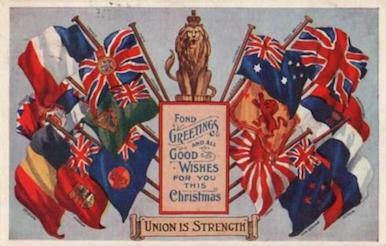 Atlee served in the Royal Army Medical Corps during the Great War. In civilian life, he served as Chair of the Department of Obstetrics and Gynaecology at Dalhousie. His only novel, this was a gift from James Calhoun, my collaborator on the reissue of Peregrine Acland's All Else Is Folly. Despite the (implied) success of Aprés-Ski, I had no idea this fine example of "ADULT READING" existed until it was given me by author Fraser Sutherland. Note: A volume in the Aphrodite Collection. 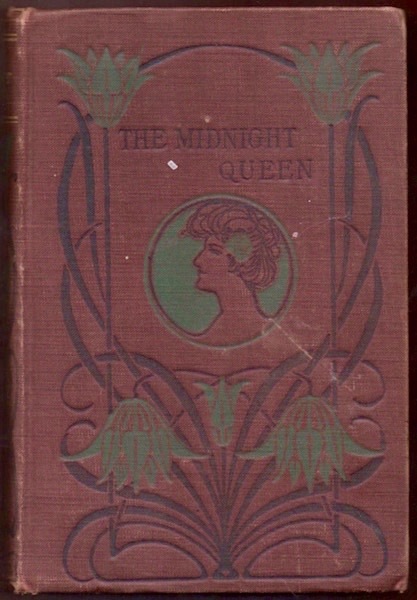 One of the three books I'm urging publishers consider returning to print, The Midnight Queen is the one of the most entertaining novels I've read since beginning this exploration. It's no small wonder that Mrs Fleming (1840-1880) was our first bestselling author. You can read my review here. 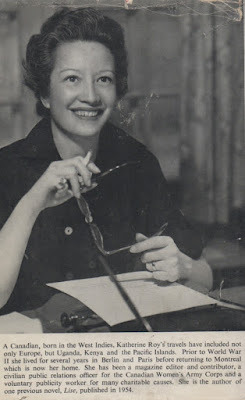 Edith Percival; Or, Her Heart or Her Hand? A later edition – perhaps the last – of Mrs Fleming's 1893 bestseller... But wait, didn't she die in 1880? Is it really hers? This is one of five Street & Smith Flemings won for US$1.99 each on eBay. Mine were the only bids. Bought for a dollar earlier this month at the Stratford Salvation Army Thrift Store. Signed by the artist. A book I'll be handing down to my daughter. A curious collection of verse. Regular readers will remember Stewart's "On the Drowning of a French-Canadian Laborer", which I shared this past Labour Day. A gift from booksellers Vanessa Brown and Jason Dickson of Brown & Dickson in London, Ontario. 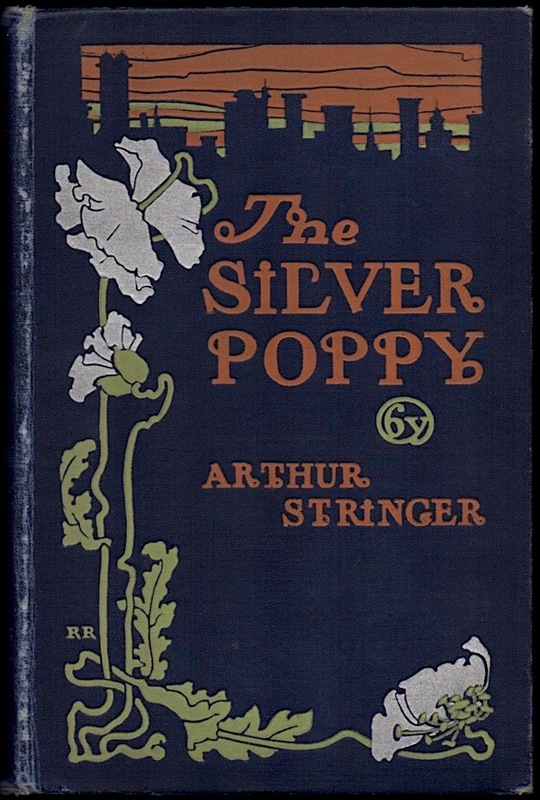 I thought I was pretty much done with collecting Stringer, but then spotted this first edition of his debut at London's Attic Books. Price: $10. The scan doesn't do it justice. Let us all work to make 2017 a better year. I myself resolve to kick harder against the pricks. Still more than two weeks left in the year, but not too early for this list. Given my schedule these days, I know the book I'm reading right now will be the last finished before the ball drops in Times Square. I also know that it won't make the grade. What's the book? I'll let that remain a mystery, though the sharp-eyed will spot it amongst other 2016 reads pictured above. 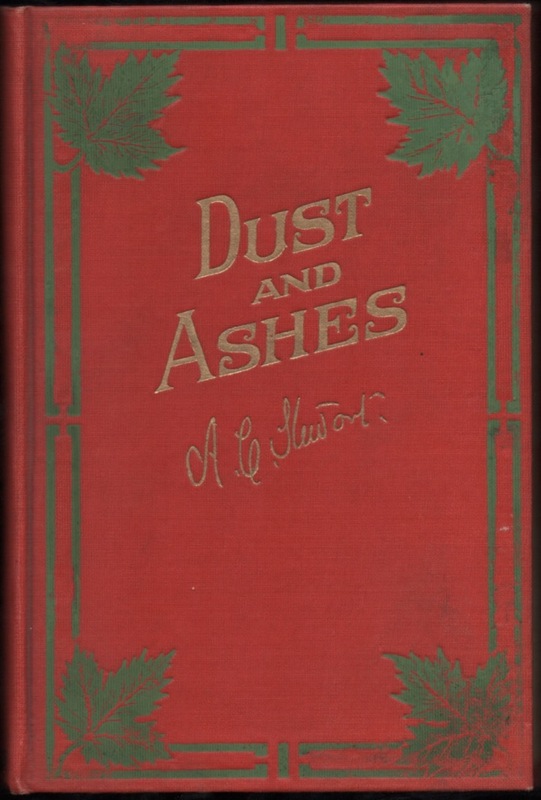 Who'd have thought this 19th-century novel of the Plague Year, would be such good fun. It's a fast-paced, crazy ride featuring a masked medium, a killer dwarf, long-lost siblings, and highwaymen and whores playing at being aristocrats. It's also quite well written. 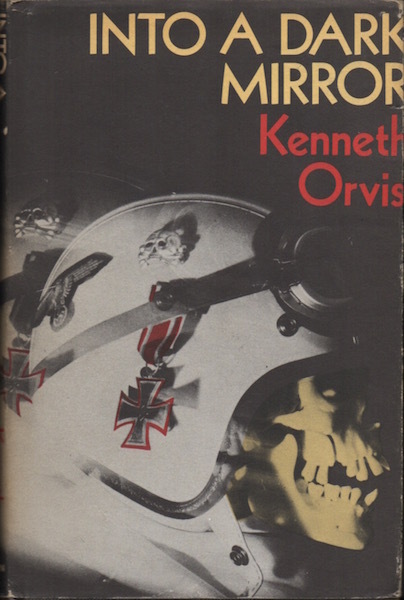 An ambitious, daring novel by the man who gave us Generals Die in Bed. 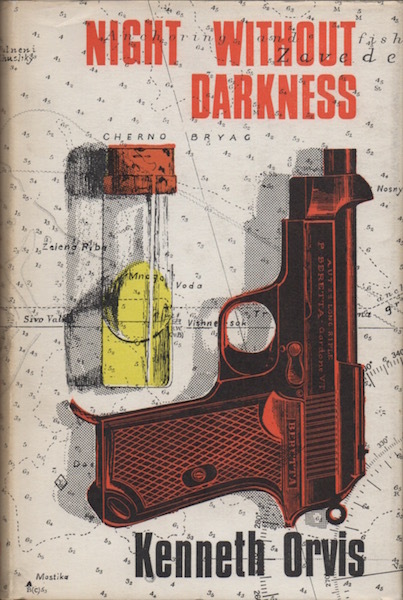 Set in Montreal and New York, this isn't a war novel, though it does deal with its devastating effects. 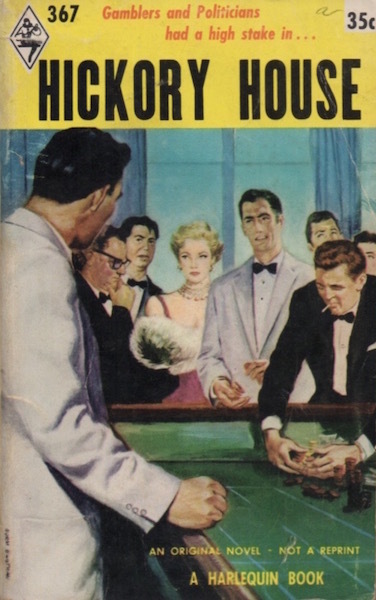 Flawed, but brilliant, the novel's scarcity adds to the need for reissue. 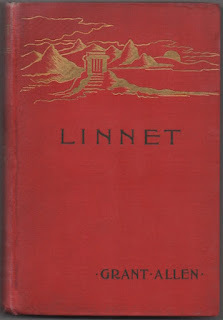 In this 1895 novel, Satan looks to secure his hold on the Dominion of Canada, only to be thwarted by divine intervention and something resembling a fax machine. 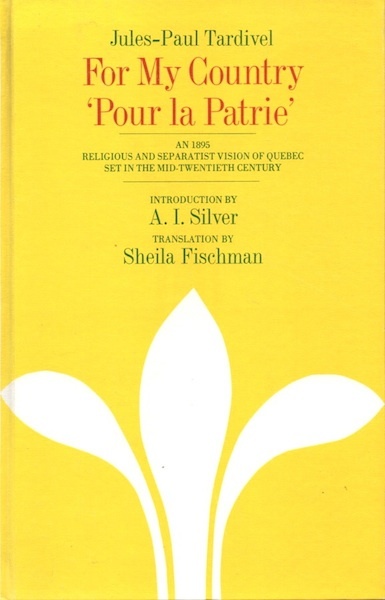 The original French remains in print, but not this 1975 translation by Sheila Fischman. 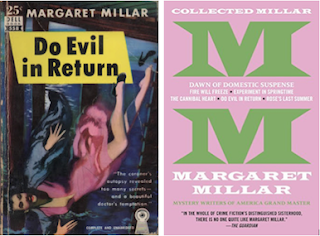 Regular readers know that nearly every Margaret Millar I read is recommended for republication. This year, I read only one of the Grand Master's novels: Do Evil in Return. It would've made the list had it not been announced for republication as part of Syndicate Books' Complete Margaret Millar. 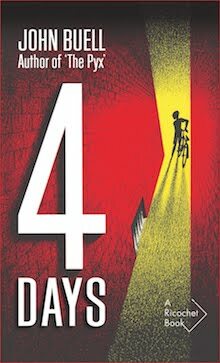 Look for it in March. 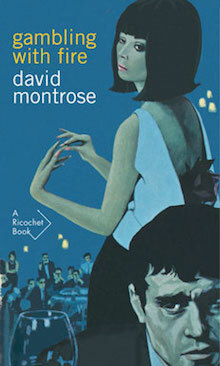 The fourth and final David Montrose novel. 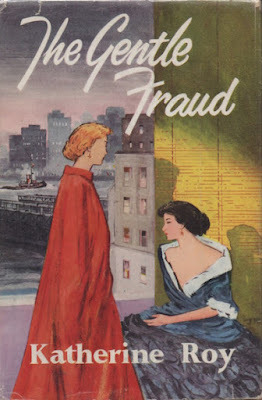 Here private investigator Russell Teed, hero of the first three, is replaced by the displaced Franz Loebek, a once wealthy Austrian aristocrat caught up in Montreal's illegal gambling racket. And on that note, as might be expected, praise this year goes to New York's Syndicate Books for The Complete Margaret Millar. 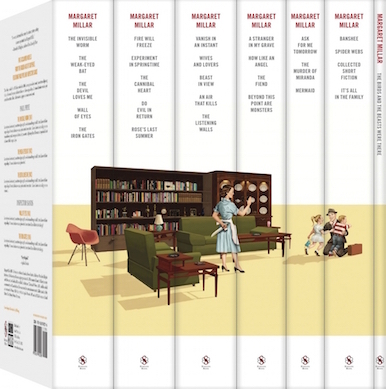 The Master at Her Zenith and Legendary Novels of Suspense, the first two volumes in the seven-volume set are now housed in the bookcase. The next, The Tom Aragon Novels, is scheduled for release on the tenth of January. The 2016 Globe 100 was published last week. 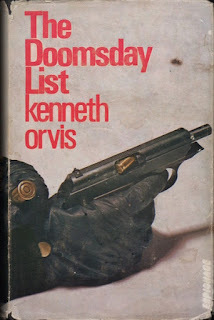 As with any other, one could quibble with this year's list – whither John Metcalf's The Museum at the End of the World? – but it's really quite good. I was pleased to see Kathy Page's The Two of Us and Willem De Kooning's Paintbrush by Kerry Lee Powell. The Party Wall, Lazer Lederhendler's translation of Catherine Leroux's Mur mitoyen, was also welcome. And then there's Madeleine Thien's Do Not Say We Have Nothing, though that was pretty much a given. The third year of the war finds no appreciable diminution in the output of books. 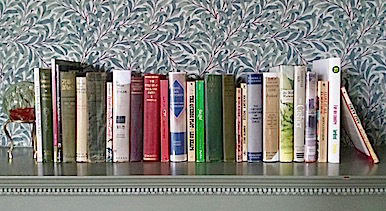 The demand for good reading grows apace, although publishers are in difficulties over the increased cost of production. One result of the paper shortage across the border is the growing tendency to place orders for printing and binding in Canada. The examples of workmanship recently turned out by Canadian printers show what this country may yet accomplish in the production of books. 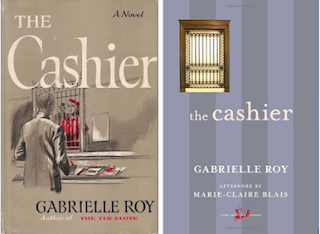 Canadian fiction is still in a stagnant condition. 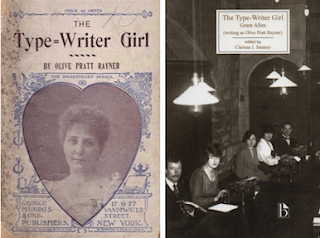 The attractions of the American market have proved too strong as yet to admit the development of a Canadian school of novelists. In a New York publisher's circular the following appeared: "Canadians or Americans? 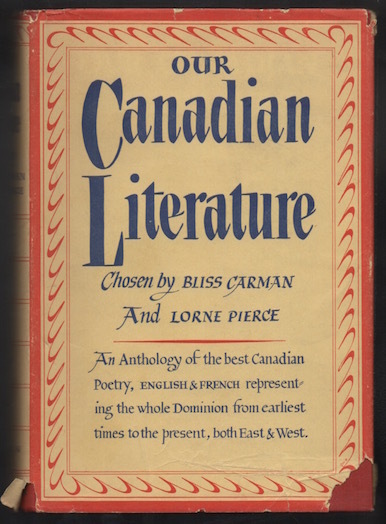 In 'Canadian Poets and Poetry,'* an anthology collected by John Garvin and recently published by Stokes, the verse of Bliss Carman and Arthur Stringer along with that of Roberts and more generally recognized Canadians somewhat surprise the average reader who thinks these poets are native Americans. 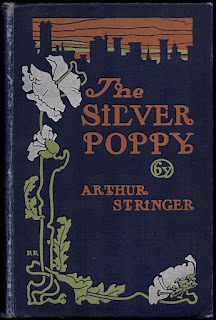 It is true, however, that Arthur Stringer's birthplace is Fredericton, New Brunswick, and his A.B. [sic] is from the university there, while Carman was born in Ontario and educated at the Universities of Toronto and Oxford." Though the copywriter has confused Stringer and Carman – the former is the Ontario boy and Oxford man – this is just the sort of recognition that makes glowing hearts glow. 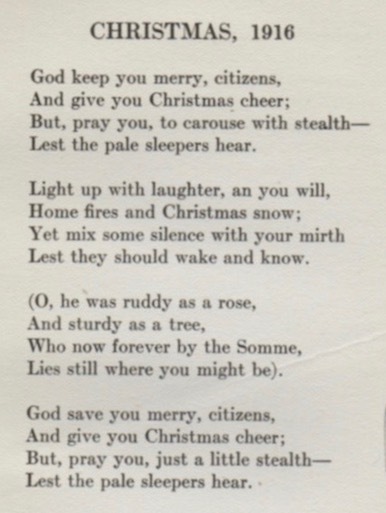 The anonymous Globe reviewer – William Arthur Deacon, I'm betting – fans the flames in writing that the war has brought "a renaissance of Canadian poetry," as exemplified by Canon Scott's In the Battle Silences and Rhymes of a Red Cross Man by Robert W. Service (the lone book I own on the list). Meanwhile, on the home front, "Canada is discovering fresh talent. Two gifted writers have attracted notice in the past year – Robert Norwood and Norah M. Holland." 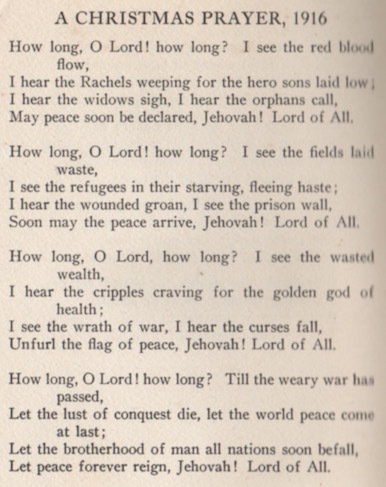 Being somewhat familiar with his verse, I dismissed Robert Norwood. I couldn't do the same with Norah M. Holland because I'd never heard of her. 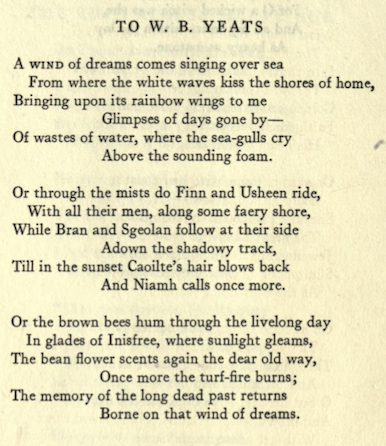 Imagine my surprise in learning that Miss Holland, a native of Collingwood, Ontario, was a cousin of Yeats. 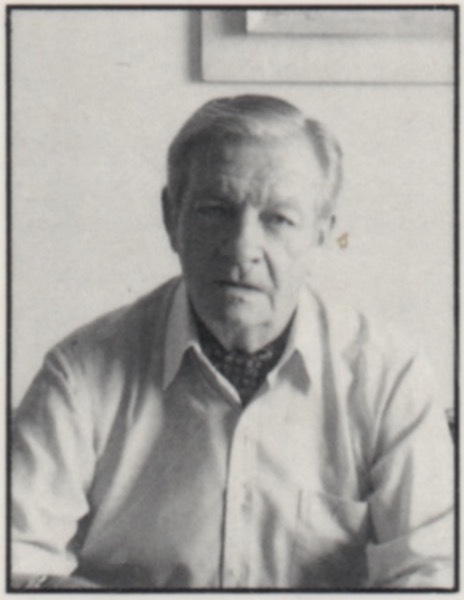 Canadian Poets* – John Garvin, ed. I read nothing into the misspelling of Miss Pickthall's Christian name (nor the brevity of the review). There are 127 best books in "THE SEASON'S BEST BOOKS IN REVIEW", thirty-six of which are Canadian. 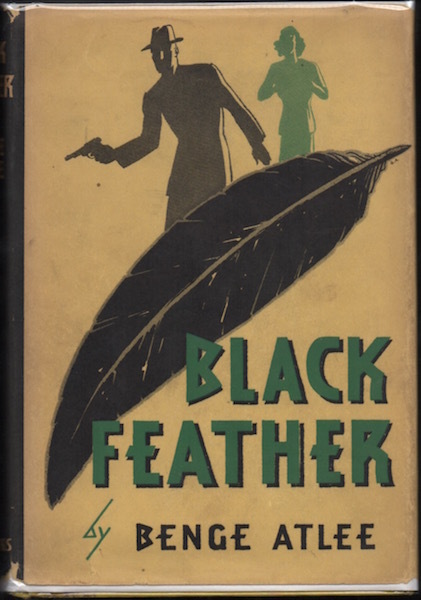 Stephen Leacock leads the very short of list of Canadian fiction with Further Foolishness. The Secret Trails by Charles G.D. Roberts, H.A. Cody's Rob of the Lost Patrol, and Marshall Saunders' The Wandering Dog follow. Though I've not read the last, I like to think it served as inspiration for The Littlest Hobo. We writers of non-fiction aren't particularly well represented. Ten more volumes of the sketchy Chronicles of Canada series feature, as does R. Burton Deane's Mounted Police Life in Canada (a book I helped return to print – briefly – fifteen years ago). Much is made about William Boyd's With a Field Ambulance in Ypres, which I really should've read... but haven't. Still more is made of the fact that the year saw not one but two biographies of Sir Charles Tupper. Of course, we all remember Tupper as our sixth prime minister. He served for 59 days. 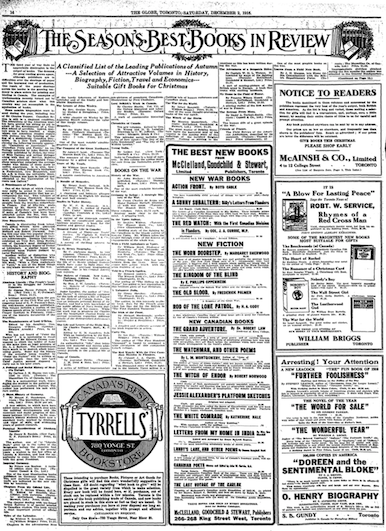 Not a single one of the Canadian books on the 1916 Globe list is in print today. 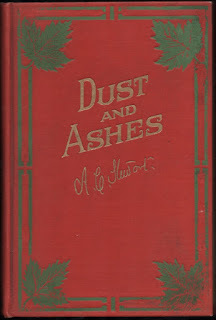 * In Canada, the anthology was published as Canadian Poets (Toronto: McClelland, Goodchild & Stewart, 1916). Katherine Roy was known as "Kitty" to her friends. I can't claim to have been one, though we did once speak over the phone. This would've been in the early 'nineties. 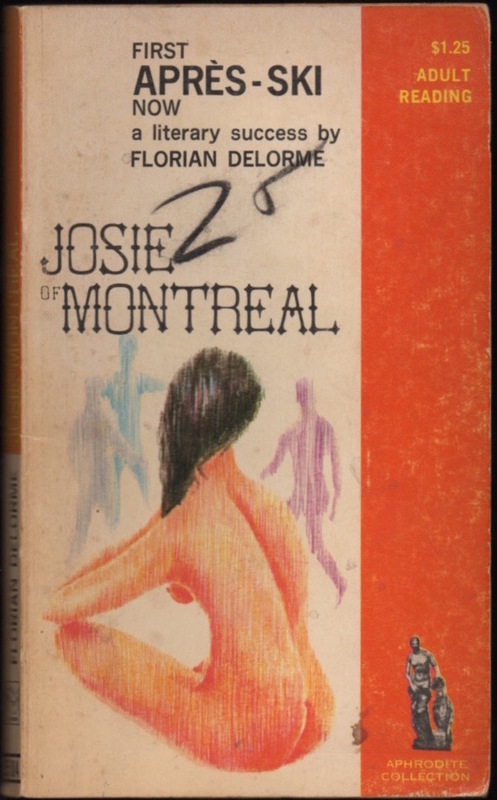 I'd been hired to look over the manuscript of a novel by an Englishwoman because it was set partly in Montreal. Mrs Roy was an old friend of the author's family. I can't remember just why we spoke, though it may have had something to do with the author's wish to dedicate the book to her. Mrs Roy died just a few weeks later. 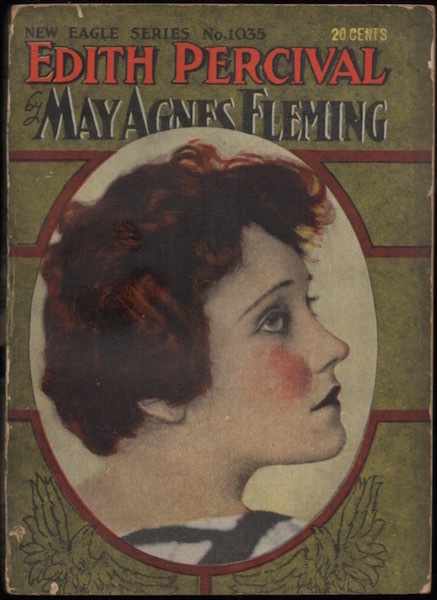 The book appeared the following year, complete with dedication to Katherine Roy. When I spoke to Mrs Roy, I knew that she herself had published two novels. Years passed before I came across a copy of her debut. 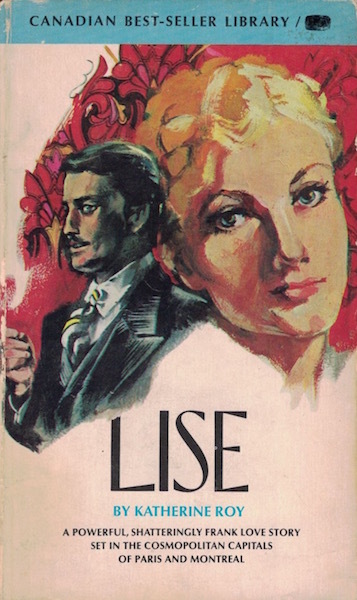 Titled Lise, it was first published in 1954 by McClelland & Stewart in and Peter Davies. 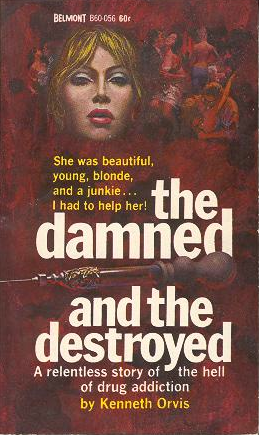 The copy I found was an ugly 1967 mass market paperback, part of the former's short-lived Canadian Best-Seller Library. I started in on Lise this past summer, and thought it fine, but work intruded to such a point that the book was set aside and I lost interest. Roy's second novel, The Gentle Fraud, had more appeal, if only because contemporary reviews promised a nice, light read. Given my schedule these days, I'm all about the nice, light read. At forty-seven, Julia Gilmore, the "first lady of American theatre," has entered a tailspin. Her last three Broadway plays have flopped, and she's taken to drink. As bills begin to accumulate, producer Max Wilson urges her to play "footy-footy" with an admirer who has expressed interest in bankrolling a new drama. Ten or so years younger, Julia's friend Harriet aspired to the stage herself, but was swept off her feet by Murray Baxter, the favourite son of a wealthy Montreal brewing family. Each woman envies the other. From time to time, Harriet comes to New York on shopping trips. At the beginning of The Gentle Fraud, she is doing just that. The two women meet for lunch. Julia has a few cocktails too many then drags Harriet to see a mystic named Aloysius P. Reily. It's the sort of thing theatrical types do. "I do not expect you to understand or believe me. Any more than years ago people understood or believed the discoveries and inventions which, today, are taken for granted. But I can, if the subjects are willing to undergo the experiment, change one person for another. That is to say, supposing you wished to live each other's lives for a specified time, it is in my power to transfer Miss Gilmore's spirit to your body, Mrs Braxter, and yours into hers." Of course, Julia and Harriet don't believe him, but go along with what Reily for a lark. 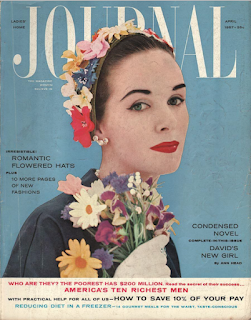 The next chapter opens with Julia, in Harriet's body, reading Ladies' Home Journal on a flight back to Montreal. 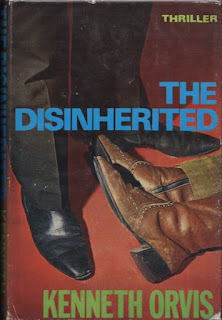 The fantastic becomes more so when she spots Sid Field, her estranged husband's agent, in a neighbouring seat. Next thing you know she has invited agent and client to dine at the Baxter mansion. Meanwhile, back in New York, Harriet discovers that the investor Julia is meant to woo is none other than Dwight Sloan, an old friend of husband Murray. The coincidences did chafe, but the fun that followed made me forget the irritation. Julia and Harriet, pretend Harriet and Julia struggle to adapt to each other's lives. Their theatrical training helps, but the latter – that would be Julia as Harriet – steps out of character in downing a few too many drinks. 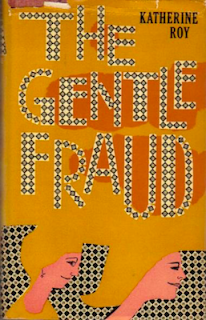 The Gentle Fraud was indeed a nice, light read... it was also a pleasant distraction. 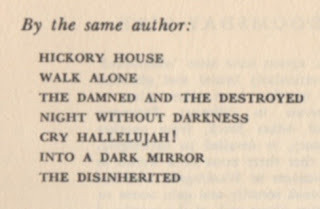 I remember its author as very gracious and patient. She had a beautiful, delicate voice. I expect "Kitty" suited her. 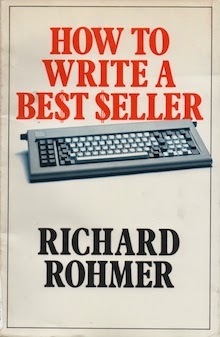 "Oh," he said, "I doubt it will make any money, but at least I have the satisfaction of being out of the hands of the 'vanity' publishers; of knowing that a reputable firm has found my scribblings worth the risk." Object: A 184-page hardcover in orange cloth. I purchased my copy online this past summer from Ottawa's David Eves Books. Price: US$8.00. The uncredited jacket illustration has its faults, but I like it just fine. 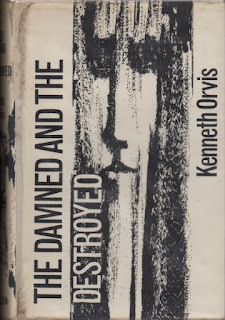 The image was also used on the UK edition published by Peter Davies. Harcourt Brace picked up the novel in the United States, slapping on an inferior cover (above, on the left). I'll take this opportunity to point out that Julia is raven-haired, while Harriet is blonde. Both are described in the novel as very attractive women. Access: Published in 1959 by McClelland & Stewart and Peter Davies. 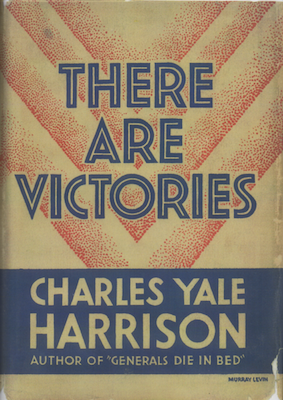 Harcourt Brace's American edition followed a year later. As far as I have been able to determine, there were no second printings. The Gentle Fraud isn't terribly common in any edition... but then it isn't expensive either. Used copies begin at US$6.50 for a Very Good Harcourt Brace (Very Good in Good dust jacket), and extend all the way to US$32.38 for a copy of the Peter Davies in similar condition. 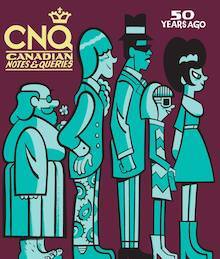 At US$20.00, the one to buy is a signed, Very Good copy offered by a Westmount Bookseller. What follows fails. It was intended as a visual feast of first edition covers for every book written by the mysterious Kenneth Orvis. 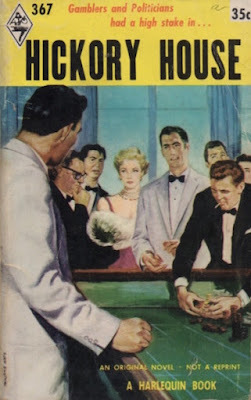 Hickory House, the author's scarce Harlequin debut is here, as is Over and Under the Table, his much less common swan song. What's missing is Walk Alone, Orvis's second book. 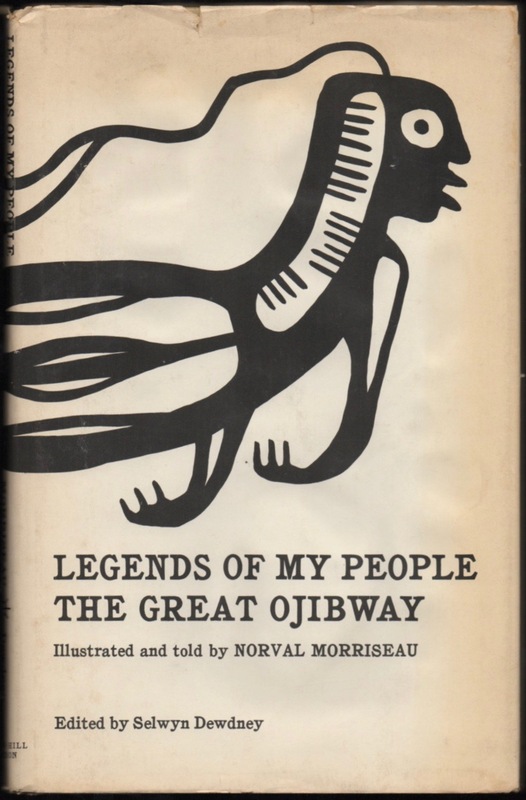 Described by Orvis as a novel, it features in every one of his bibliographies, yet WorldCat does not recognize; Library and Archives Canada has no copy, nor does the Library of Congress. No used copies are listed by online booksellers. Search engines bring nothing. I've yet to find a single review or advert. Like its author, the book is a elusive... or is it simply a phantom? Hickory House – the result of a lifetime's hopes and ambitions. After lean years of insignificant books with their small bets and mean losers, hurried movings and furtive payoffs, now Al Rossi was a Big Time operator with a whole city answering to him. 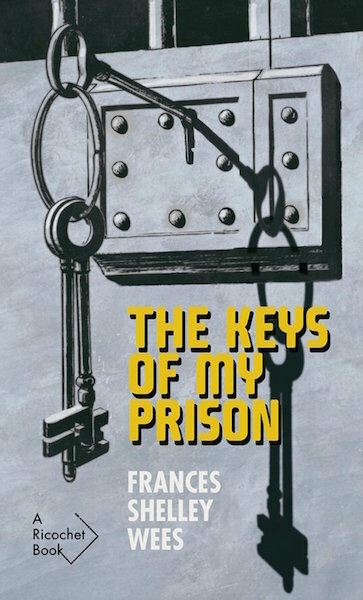 When Maxwell Dent returned from the Korean War after helping to smash an enemy ring supplying narcotics to U.N. forces, he thought he had turned his back forever on this nefarious trade with all its unpleasant associations. Yet here he was in Huntley Ashton's elegant Westmount home being asked to undertake a similar task in Montreal. Anton Fox, a Communist militant, has abducted a Western scientist, Beldon, and plans to use his new discovery, known as "paralysis mist", to get control of the Communist bloc – and take the Cold War off the ice. 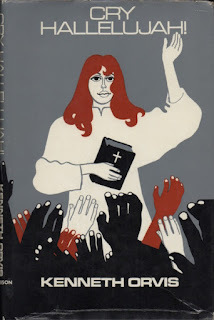 A beautiful girl with a vision starts a revivalist mission in a decrepit hall in Greenwich Village – her congregation a handful of down and outs and the prostitutes from the brothel opposite. Mark and Toni become inextricably involved in a crime hunt in France when they are there to investigate the extraordinary disappearance of their fathers after a war reunion. Here is an audaciously original novel of human conflicts and suspense. In a story of nonstop tension it details the agony of the wrongly-accused and the guilty, and the public attitude toward them. Several CIA agents have been 'eliminated' in various particularly brutal ghoulish ways. These murders have taken place at regular intervals in different European countries, and Adam Beck from another top-secret agency, is detailed to investigate. I feel very excited. Over and Under the Table will be advantageous to family members of alcoholics, school children, ministers of religion and persons who work on a day to day basis with alcoholic members of our society. My thanks to St Marys Public Library, which managed to get me a copy of Over and Under the Table as an inter-library loan from McMaster University. Thanks to McMaster, too! been at all taxing. My favourite thus far is The Damned and the Destroyed, a 1962 novel dealing with drug dealing in 'fifties. I admit that my preference has everything to do with the fact that it is set in Montreal, the author's hometown and mine. 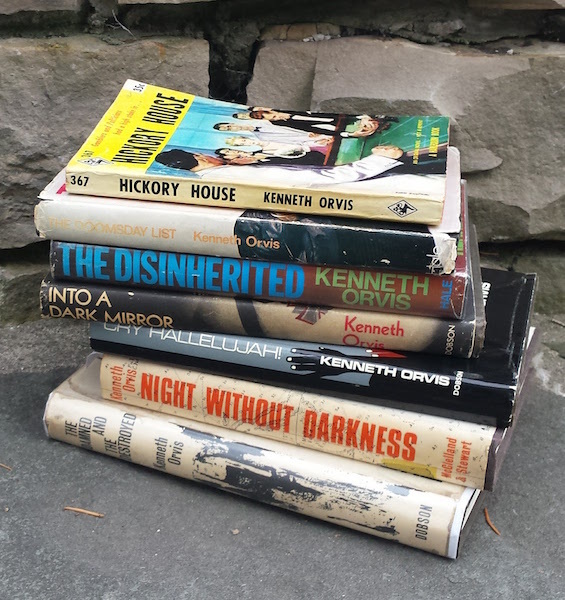 I'm certain I never heard a word about Kenneth Orvis growing up – then again, I never heard anything about John Glassco, whose biography I would write and whose letters I would edit. 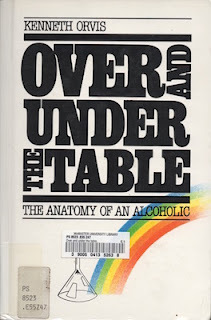 Two very different men, though they did share a penchant for drink; Over and Under the Table, Orvis's 1985 memoir, is subtitled The Anatomy of an Alcoholic. 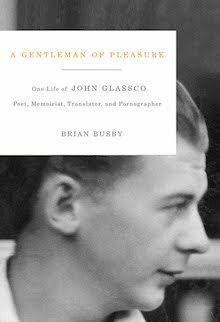 The challenge in writing about Glassco was that he loved to fabricate; the man fancied himself "an accomplished liar" and "great practitioner of deceit." Things were made easier by the paper trail he left in his wake. And then there were his friends... many of whom became my friends. Glassco died in 1981, more than four years before Orvis's Over and Under the Table saw publication. 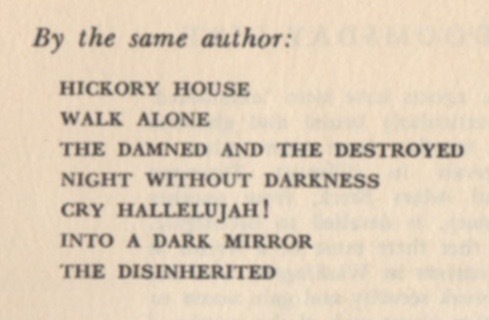 According to the author's bio on the back cover, the author had recently relocated to Montreal and was at work on a new novel. As I say, Glassco had friends. Did Orvis? And so, this plea – directed at friends, family, acquaintances and colleagues – for information about the man. This for a future article about Orvis and his work. 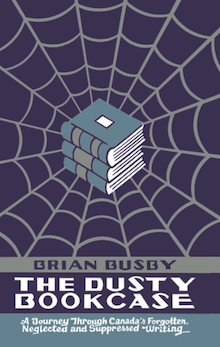 My email address: brianjohnbusby[at]gmail.com... or you can just leave a comment. All leads appreciated. No stones unturned.